When the Knighthood originally began, it was nothing more than a group of knights dedicated to defending the Church of Serene. Since that time, the Knighthood has grown immensely, and is now the ruling force in the country of Felthspar. Many citizens come from all around the country to become a part of the Knighthood that protects, serves, and strengthens Felthespar. Due to the large number of people serving in the Knighthood, several divisions have been made to facilitate the smooth operation of the country. There are four major divisions, all united under the Grand Council. Each division is mostly independent, and between them, they control all matters in the Knighthood. The Grand Council is the supreme ruling body of the entire Knighthood. The Grand Council is above all others, and its jurisdiction reaches into every division. Any order given out by the Grand Council is law. They have the power to change anything that needs to be changed for the good of the Knighthood. The Grand Council is composed of seven members from all areas of the Knighthood. In order to keep a balance of power, the Grand Council is structured to have fair representation of all areas of the knighthood. Each of the branches of the Knighthood has an elected Councilor to represent the branch and support its interests. In addition to these four councilors, there is a Champion, a Councilor to the Eldram, and the Lord Grand Councilor, all of which are neutral with respect to the branches of the Knighthood. In addition, each House is given fair representation. At all times there must be two Councilors of each House on the Grand Council. The Lord Grand Councilor is chosen to be neutral with respect to each house. All of the branch Counciors are elected by their respective branch. Although the exact procedure differs in each branch, there is a basic format followed. The members of the Eldram within that branch select a number of candidates of the position. All councils with the branch, including the lower councils and house councils vote on each candidate until there are only a few selected left, with at least one from each house. The Grand Council then votes on the remaining candidates. The Councilor to the Eldram, the Champion, and often the Lord Grand Councilor, are selected in a similar manner, with all Eldram members regardless of branch voting. In many cases, however, candidates for these positions are selected directly by Grand Councilors. In order to be elected to the Grand Council, all current members, including the Lord Grand Councilor, must unanimously accept the candidate. To be elected to the position of Lord Grand Councilor, not only must the Grand Council unanimously agree, but all High Councils must vote a majority to accept the candidate. For more information on the Grand Council, see the Grand Council page. While not exactly a division into itself, the Eldram still bears mentioning. The Eldram consists of highly esteemed members of all divisions of the Knighthood. They are recognized as being wise, knowledgable, and exemplars of their House virtues. The Eldram has many important duties within the Knighthood. Their primary purpose is to administer field tests to those who wish to raise their rank. The Eldram works with each division to determine the qualifications for each rank. The Eldram also assigns a House to trainees who have qualified for admittance to a devision. The Eldram is responsible for seeking out candidates for any Council when a replacement is needed. If a Council is broken, as due to a death, the entire Eldram votes, in place of the missing councilor, on replacements for the missing position. A majority among the Eldram is needed to qualify as a vote in favor of the candidate. Another duty of the Eldram is that of lore-keeper. Many of the Eldram are scholars within their field, and almost all of them are experts at something. Because of this, the Eldram produces documentation on many subjects. Whenever information on a subject is needed, people go to the Eldram for advice. A position within the Eldram trancends normal division bounds. An Eldram who is an expert in a certain subject can be sought out by members of any Knighthood division. Due to the importance of having accurate, accesible information, every Council has at least one member who serves in the Eldram. The Military is the oldest division in the Knighthood, and is considered by many to be the most important. The majority of the knights in the Knighthood possess ranks in the Military, even if it isn't their primary division. They are the fighting force of Felthespar. It is their duty to protect the country from invasion, keep the demonspawn population in check, and wage war on other countries. Knights spend much of their time training and honing their skills. The Knights are kept busy, since there is almost always a hostile nation attacking the Knighthood. The Military's High Council is selected to create the best mixture of leaders and tacticians. The Council is required to have two members of each house as representatives, not counting the assumedly neutral General. While each sub-group within the Military - including War Mages, Phoenix Dragoons, and archers - typically has a representative, that is not always the case. Councilors are selected directly by the General, though usually on advice from the Eldram and the other Councilors. The Military has a rotation of which knights are on reserve. Approximately 1/4 of the total fighting force is on reserve at any given time. Knights are assigned to one of twelve reserve groups, and each month one group is taken off reserve while another is placed on reserve. Knights are on reserve typically for 3 months of the year. Reserve groups are also often called out as reinforcements. Domestic duties for reserve troops consist of wall watch, guard patrol, and training. Knights are expected to train for several hours each day, both personal training and training of squires. War Mages spend significantly more time training than normal knights, as they must train their magic prowess as well as their combative abilities. Since War Mages have Arcanum duties while on reserve, most have their domestic duties waived. The Military is the division where it is most important to have ranks with another division. Those who possess skill in either Heraldry or white magic are highly esteemed, as they are the most versitile of the Knights. Many Knights become Templars to expand their abilities. Within the Military there is an elite fighting force called the Phoenix Dragoons. Very few people are considered skilled enough to be admitted to the Dragoons. They are masters of grey magic, and most are trained in the use of white magic as well. They are all experts in a certain area that pertains to battle, whether it be unrivaled skill with a certain type of weapon, a keen tactical mind, superb scouting abilities, or other abilities. They tend to be reserved for only the most dangerous missions. There is an additional ranking system within the Military. The ranks of Sergeant and Liutenant are positions of command, rather than skill. Sergeants are good with small scale tactics, and are placed in command of small groups of soldiers. Liutenants are good with broader strategies, and are placed in command of large scale groups. During the Arocaen, the Knighthood was almost completely outmatched by the Cainites powerful magic. Most of the Knights had no training in Heraldry at all, and the few that did were inexperienced at using Heraldry on the battle field. Towards the end of the Arocaen, a division in the Military was created to learn about Heraldry and how to use it in battle. After the Arocaen came to an end, this division expanded and became independant. The Arcanum continues its studies today, to ensure that what happened in the Arocaen never happens again. The Arcanum today has many important duties within the Knighthood. First and foremost, the Arcanum is devoted to studying Heraldic Sorcery and rune magic. Due to their efforts, the Knighthood has become unrivaled in its magical prowess. The Arcanum is considered a haven for Heralds, and many come from distant lands to study magic in Felthespar. The Arcanum High Council consists of one Herald from each department, and the Lord Herald. Each House has two representatives on the Council. Members are selected in a manner similar to the Grand Council, with each department nominating their own candidates. The Arcanum has six divisions, each with its own particular duties. The Heraldry department is the most generalized. This department studies runes, structures, matrixes, and theoretical magic. Many groups are devoted the research and development of new rune languages, though progress is very slow and usually ends in failure. The Canon sub-department standardizes known runes and common rune structures, including matrixable spells and war magic. They also develop a standard system of matrix keywords. The City Services and Weather department is responsible for public services regarding magic. These Heralds are responsible for maintaining rune structures throughout the city. These rune structures have important functions such as providing a flow of clean air anywhere in the city, purifying water, and providing lighting during the night. Other public functions preformed by the Arcanum are trash disposal and incineration, food preservation, and servicing of household wards that provide heat and light. High level Heralds in this department can also influence the weather when required. The Dragon department focuses its studies on dragonspawn. They study dragons and piests, including their biology, how to breed and raise them, and how to subdue them if necessary. They are responsible for the care and upkeep of piests used in the city as mounts or for transporting goods. The Dragon department also creates miniature 'pseudo-dragons' as pets. The Demonspawn department studies and contains dangerous demonspawn. 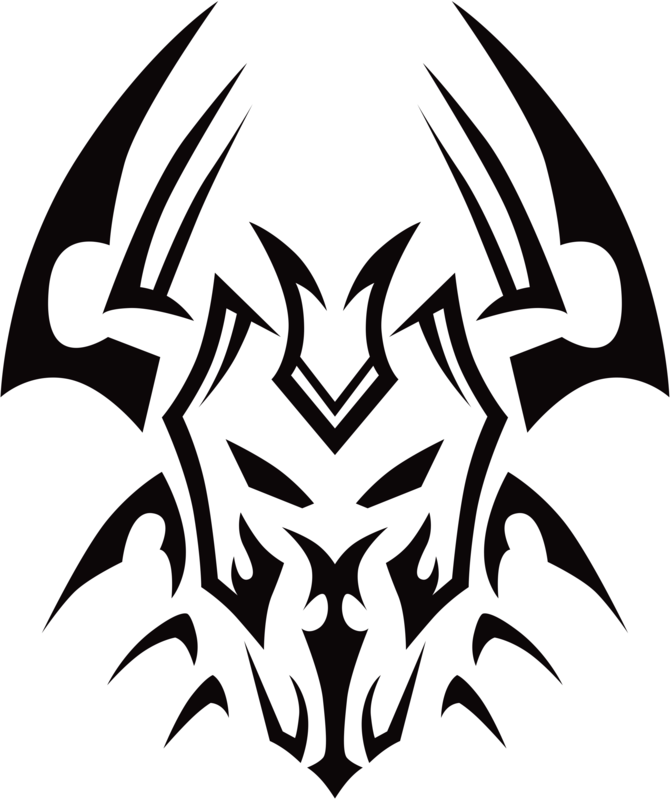 They analyze demonspawn's strengths and weaknesses, and develop new methods to defeat or subdue demonspawn. They also study how Asterian ether affects Morolian beings, and how to potentially sever a being's Asterian link. This department works closely with the War Magic department, which studies and researches combative magic and trains War Mages. The War Mages are often called upon to test new spells or fighting tactics on demonspawn. The Artifact department is probably the smallest department. They focus on creation and upkeep of various magical artifacts, typically spell caps, but also enchanted weapons used by the Military and the Templars. This department also studies alchemy, transmutation of inanimate objects, and chemistry. Many of the Heralds in the Arcanum are pacifists, and all Heralds take an oath of non-voilence, except for self-defense. Those members of the Arcanum who also serve in the as War Mages are not required to take this oath, and they are given a different ranking than normal Heralds. When the Knighthood was originally created, it was for the purpose of protecting the Church of Serene. Many of the knights also served as priests in the Church. This relationship only grew closer, until the Knighthood and the Church were synonymous. During the Arocaen, the Cainites declared war on Serene and her sister churches, Eidr and Loren. Eidr and Loren were unable to defend themselves, so the came to the Knighthood for help. After this, the Church and the Military separated out, but both still fell under the banner of the Onion Knights. The Church is the heart and soul of the Knighthood. The Churches, their gods, and the virtues they espouse are what the Knighthood continually fights to protect. As much as the Knighthood seeks to protect the Church, the Church seeks to protect its people. It is through the continual work of the Church that the lives of the citizens are bettered. The Church operates in a manner that is differnt from other branches of the Knighthood. Ranks are not based on skill or merit, but instead indicate the duties of the cleric. The exception is the rank of Cardinal, which is given to those who have shown exemplary service, either through working at the Church for a certain period of time, or some other highly significant action. Being a Cardinal does not change the clerics duties. A cleric who was a Priest before being promoted to Cardinal will still be a Priest afterwards. The Church High Council is composed of all Church members ranked as Cardinals. It has a very loose structure, with most of the authority resting on the Regent. Full council meetings are infrequent, so Cardinals often form smaller sub-councils for organizational purposes. While it is near impossible to enforce equal divisions of House members, political imbalanaces tend to be infrequent and ultimately not very effective. Each rank within the Church has its own specific duties. Acolytes have typical underling duties, such as preparing chapels, churches, and the Great Cathedral for services; scribing whatever their superiors want written down; and acting as nurses for hospital operations. Priests form the largest class of clergy, and one of the most important. Priests serve as the doctors and healers of the Church. They are the most accomplished with white magic, as they use it extensively in their healings. They are also highly proficient at doctoring without use of white magic, for when magic is not the best option. Medics are a varitey of priest that serves extensively in field operations, particularly the Military. Military medics typically have no ranks in the Military, as they strive to save lives, not end them. Medics often have chaplin duties on the field, in addtion to their job as healers. Like the Knights, medics serve on a cyclical reserve system, spending their off time working as regular priests. They are off more often and for longer periods of time than Knights, however. Bishops are the teachers and bookkeepers of the Church. Most of the Bishops run and staff the public schools throughout the city, as well as providing private tutoring for the wealthy. Bishops also handle much of the business side of running the Church, such as budgeting, finances, and logistics of housing the clerics. A good number of the Church's Eldram are Bishops. Archbishops are the clerics responsible for the spiritual welfare of Felthespar. They are the councilors, ministers, and preachers of the Church. They compose and deliver sermons, as well as religious and theological studies for laymen. The Church provides many services to the Knighthood and Felthespar. The Church gives the people a place to worship, at the Great Cathedral, as well as the churches throughout the city and country. The Church has also established schools throughout the land, and, along with the Arcanum, provide support for several institutes of higher learning. In addition to serving the citizens, the Church also seeks to protect the citizens, and for this reason has established the Templars. The Templars are trained warriors who provide homeland defense, as well as preserving the peace throughout the cities. Many members of the Military become Templars to learn white magic, although Templars do not have to serve in the Military. Highly ranked Templars are considered to be the finest warriors in Felthespar. Leader: Vesovius Emle, Immortal Ruler of Felthespar. After the Arocaen, the rapid growth of Felthespar made it apparent that the Grand Council simply didn't have time to deal with all the problems of running a city. For this end, the Dictus was established to deal with civil matters. The Dictus has a great deal of responsibilty within itself. The City Council deals with matters involving the city itself, such as street planning, zoning restrictions, building codes and inspections, and controling growth sprawl. The Social Council is responsible for the welfare of the citizens, and deals with birth certificates, marriage licences, unemployment, welfare programs, and censuses. The Judicial Council is responsible for for judicial concerns, such as trials, people sueing one another, small claims, etc. The Civic Council is responsible for co-ordinating with other divisions of the Knighthood, for purposes such as the Arcanum's trash disposal, the positioning and routes of Templars, and any public service projects the Church is working on. The Dictus High Council is lead by Vesovius, considered to be the Lord of Felthespar. However, in these modern times, Vesovius is more a figurehead than a ruler. While he has control over all Dictus actions, he is powerless to affect other divisions of the Knighthood, and can still be overruled by the decision of the Grand Council. He is a much more public figure than the Grand Councilors though, so the Grand Council grants him permission to act like he's really in charge. The Lord of Felthespar is always called Vesovius, regardless of his original name, to uphold a myth that Vesovius never dies. Most other countries, and many of Felthespar's citizens, believe this myth.